Located twenty five miles north of Manhattan, and less than an hour from JFK, LaGuardia, and Newark Airport, White Plains is a bustling city in Westchester County that is home to about 56,000 residents. During the week the population of actually shoots up to nearly 250,000 people as commuters, shoppers and visitors gather in White Plains for a long day of work or shopping. White Plains was first established in 1683 by a group of Connecticut Puritans. When the colonial government relocated from West Chester in 1758, White Plains became the Westchester County Seat. It wasn’t until 1788, almost a decade after General George Washington fought back Sir William Howe’s force, winning the Battle of White Plains, that the city of White Plains was finally incorporated. After WWII, White Plains experienced a commercial development boom that continues to this day. White Plains’ enviable history, recreational activities and cultural attractions enrich community life. 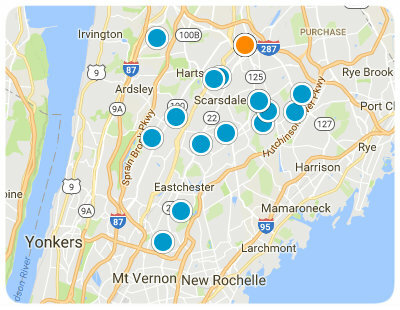 For shoppers and foodies, White Plains is perfectly situated between major metropolitan centers. If you can’t find what you’re looking for in White Plains, you don’t have to go very far to find it. The Galleria on Main Street contains around 130 stores and casual dining spots, attracting a younger crowd with stores like H&M, Forever 21, and Torrid. For a serious day of shopping, residents head over to the Westchester Mall on Westchester Avenue. Featuring beautiful marble flooring and lush carpets awash in natural light, the Westchester Mall is anchored by Nordsrtom and Neiman Marcus and houses around 150 reputable retailers. Downtown White Plains offers the perfect ratio of retailers per block, making it possible to find a birthday gift on your lunch break without going hungry. The White Plains dining scene features a nice mix of cheap eats and special occasion restaurants. For graduations, anniversaries, or any romantic night out, locals recommend Mulino’s, a splendid Italian restaurant with a fabulous selection of desserts and nightcaps. The burgers from Westchester Burger Company have developed a kind of cult following. For an energetic night out, be sure to start your night at the Lazy Boy Saloon, home of the best beer selection in the White Plains area. With plenty of glossy downtown shops, quirky local eats and international labels to choose from, if you’re looking for something special you’ll probably find it in White Plains. White Plains enjoys four distinct seasons, giving residents a full year’s selection of outdoor hobbies and recreational activities. You don’t have to travel very far to find a lovely public park; the city of White Plains has over twenty unique parks to choose from. Bark Park on Main Street allows walkers and their canine friends a chance to run free under a big city skyline. In the summer, grab your friends and hang out poolside at Gardella or Kittrell Parks. Throughout the year, residents and visitors can stroll through the White Plains Farmer’s Market, enjoying locally grown produce, fresh baked bread and live music. In the winter, kids love to test out their skates at Ebersole Ice Rink located in Delfino Park. Do you enjoy live theater? Share in the joy and conviviality as community members perform some of the most iconic musical roles of our generation: Westchester’s regional theatre, the White Plains Performing Arts Center, is open nearly every week of the year and for less than a hundred bucks you can see three fantastic shows. Be sure to check out the White Plains Recreation Guide for more information about events in the city of White Plains. 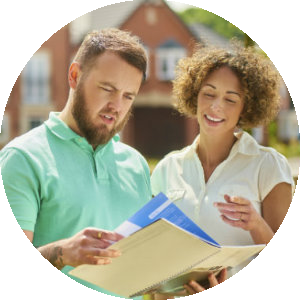 White Plains is a busy suburban city that offers residents the excitement of a major metropolitan area at a fraction of the cost. Given the combination of reasonable housing costs and convenient proximity to New York City, it’s not surprising that White Plains attracts more residents each year. 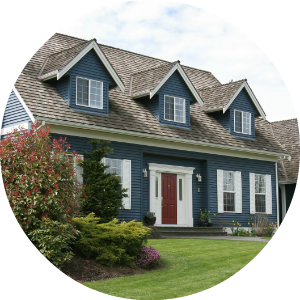 Homes range from co-ops (common among starters and first-time home buyers), traditional single family homes in quiet residential areas, to modern luxury condos atop the tallest buildings in the city the Trump Tower or the luxurious Ritz Carlton. 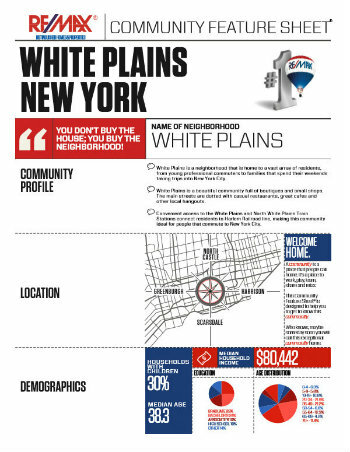 Overall, the median home value in White Plains is about $500,500. The White Plains community is served by the White Plains Public School District which oversees five elementary schools, two middle schools, White Plains High School and an adult education program. Unlike most districts in the US, the White Plains Public School District allows students to attend schools outside their district through the Controlled Parent’s Choice Program. White Plains is also adjacent to the Westchester campus of New York City-based Fordham University. The city boasts excellent public transit options that lower carbon emissions while lowering the cost of living in White Plains, NY. There are two Metro North Rail stations with service to Grand Central Terminal in New York – North White Plains Station and White Plains Station in downtown. Most of the time you can find several bus routes that will take you where you want to go. The Bee Line, which will take passengers as far north as Putnam County, operates over 350 buses in the White Plains metro area making it the second largest bus service in New York. Other bus services include Transport of Rockland, Greyhound and Coach. Airlines such as JetBlue or CapeAir offer service to and from the Westchester County Airport located in White Plains. 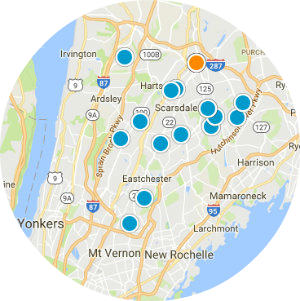 Medical centers Montefiore and St. Barnabas Hospital are less than twenty minutes from White Plains. Builders & Investors. House is being sold as a tear down. Cash only offers will be considered. Must provide proof of funds.